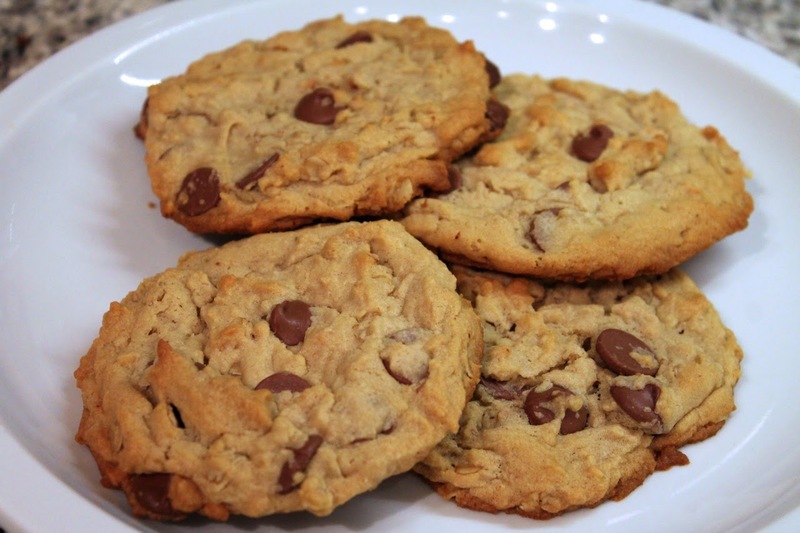 Sugar does more than just sweeten these Peanut Butter, Oatmeal and Chocolate Chip Cookies, as discussed in the Eater article below. Washington Post: “Unearthed: Are Patents the Problem?” by Tamar Haspel. Whenever I see the “Tamar Haspel” byline in the Post’s Food section, I know I’m in for a good read. She keeps up her streak with this insightful—and potentially inciteful, given the topic—story about the role of patents in agriculture. Should companies be able to patent living organisms? It’s been a topic of controversy ever since the Supreme Court weighed in to allow it in 1980. I appreciate the commenter who raised an issue I’ve read about, which his farmers subject to lawsuits when neighbors’ GMO seeds blow into their farms, as well as Haspel’s response in the comments. Washington Post: “Bay Leaf: Should It Stay or Should It Go?” by Bonnie S. Benwick. This pretty much sums up my thoughts about bay leaf: “Others say, sure, they toss a bay leaf in when a recipe calls for it, but they can’t tell you why.” You’ll find it in a handful of recipes on my site, but it’s not one I turn to much. But as noted in this article, it can provide a nice “foundation” flavor. Something I should consider more. New York Times: “New Michelin Guide Has New York Star-Studded,” by Florence Fabricant. The Michelin Guide, perhaps the most esteemed judge of high-caliber restaurants, announced new star ratings for New York restaurants, adding quite a few to the list. Of interest is that the city’s group of three-star restaurants, the guide’s highest ranking, shrank from seven to six with the removal of one of the stars from Daniel, the restaurant from chef Daniel Boulud who recently opened DBGB in Washington, D.C.—and got a mixed bag First Bite review from Tom Sietsema, although their Baked Alaska looks to-die-for good. New York Times: “A Salad Dressing to Rule Them All,” by Julia Moskin. Turns out sugar does more than make your dessert sweet, a lot more. As part of Harvard’s Science and Cooking lecture series, pastry chef Joanne Chang regaled the audience with anecdotes and demonstration examples of all the wondrous things sugar does to create body, texture, balance and browning in our favorite treats. Washingtonian: “These Are the Best 25 Food Trucks in Washington,” by Todd Kliman, Ann Limpert, Anna Spiegel, Nelson Billington. Still haven’t tried lunch from one of D.C.’s food trucks? You’re missing out, as these mobile purveyors of $10 freshly prepared American and ethnic cuisines have really captured the District’s lunch crowd. Washingtonian rounds up a list of their favorites, which include Jose Andres’ sandwich truck, Pepe; the mouth-watering BBQ Bus; and South Meets Asia, whose trio of meat tacos has satisfied my cravings on several occasions. NPR: “A Bumpy Ride: Airplane Food Through The Decades,” by April Fulton. It may be hard to imagine, but there was a time when airlines actually served good food, even to their coach passengers. The only thing I’ve eaten on an airplane in recent years that I liked was the Bahn Mi Alaska Airlines was serving earlier this year. Good tidbit if you travel often: check out Fly and Dine, a food blog dedicated to eating while traveling. NPR: “'Human Flesh' Burger Is A Treat To Tempt The Walking Dead,” by Alison Bruzek. Warning: if you’re at all squeamish, you won’t want to read this one. In honor of the upcoming fifth season of AMC’s The Walking Dead, a British chef has made a hamburger designed to taste like…here it is…human flesh. Why first thought was, “OMG how does he know? !” He did research, not the first-hand kind thankfully, but read documentation on what humans, or rather we, taste like (such as the account of the people the movie Alive was based on). Wall Street Journal: “The Right Ice for Your Cocktail,” by Cheryl Lu-Lien Tan. For those who think being picky about your cocktail ice is taking things a step too far, Tan’s article nicely explains why different types of ice (big cubes, little cubes, crushed, shaved, etc.) behave differently in your drink. Mother Jones: “The Creepy Language Tricks Taco Bell Uses to Fool People Into Eating There,” by Kiera Butler. Lastly, since it’s Food and Language Week on my blog, here’s a great article using the analysis of Dan Jurafsky, author of the book The Language of Food that I discussed Monday, to examine what the wording of the menus at Taco Bell and its upscale spinoff U.S. Taco Co. tell us about the implicit messages being conveyed.